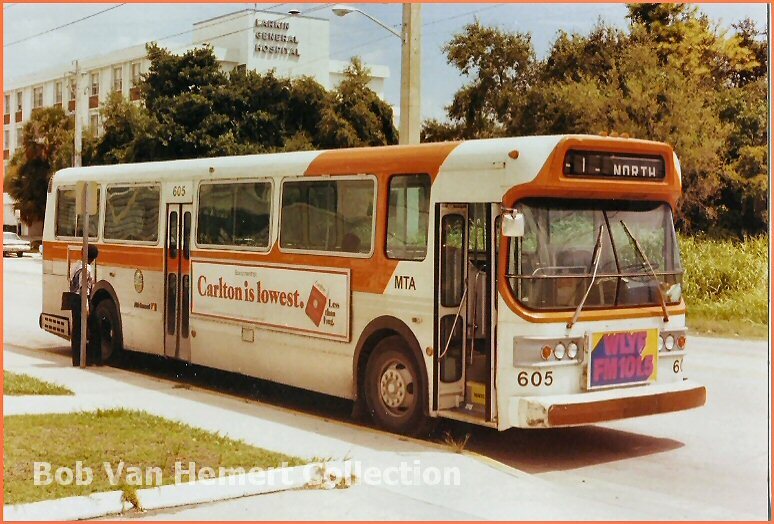 The 600 series was an order of 110 1976 AMGeneral Metropolitans numbered 600-709. They were powered by the Detroit Diesel V8 8V71 and were the first to come with the Allison V730 three-speed automatic transmission. 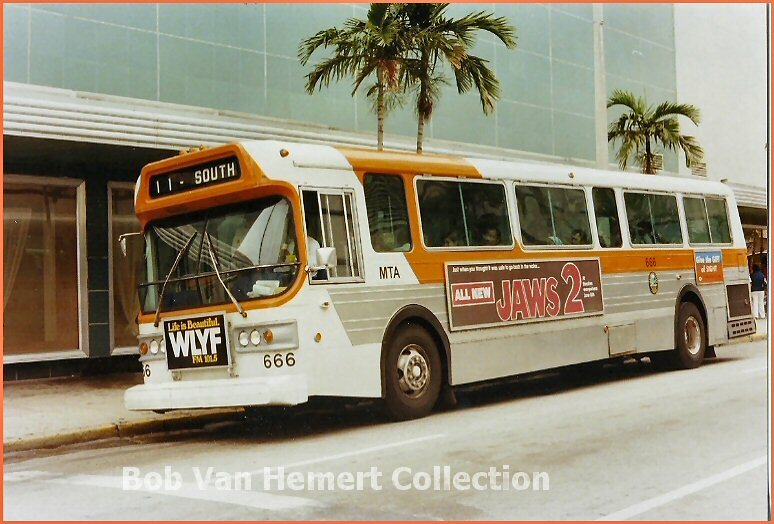 These buses were trouble-prone. They had issues with the electrical system, AC, hot brakes, and starting system. They were heavily modified in-house by the MTA maintenance crews and the agency was able to get 11 years of service out of them. 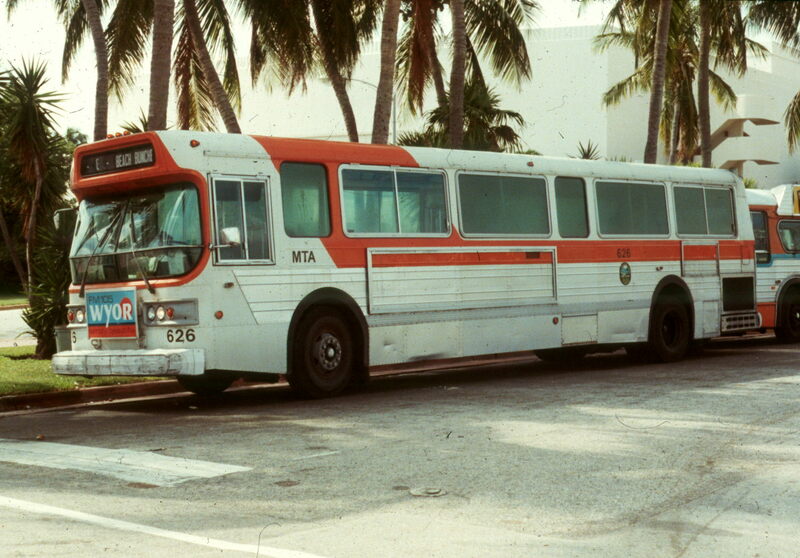 All but two, 600 and 708, were retired in 1987. Their harsh ride and poor AC system earned them their nickname "Shake-n-Bake". 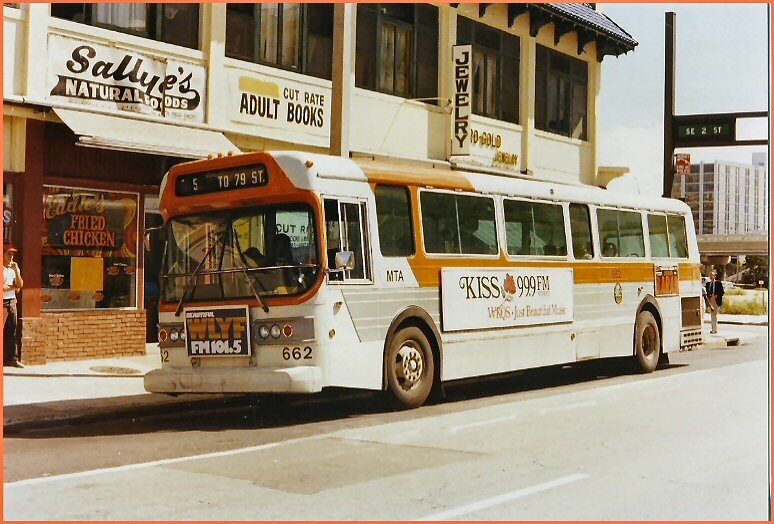 Bus 666 on the route 11. Shortly after this picture was taken, this bus met its fiery demise. Quite a few AMGs were lost to brake and electrical fire (602, 622, 630, 646, 648, 653, 666, 676, 702 to name a few). Bus 639 on a northbound 5 route. 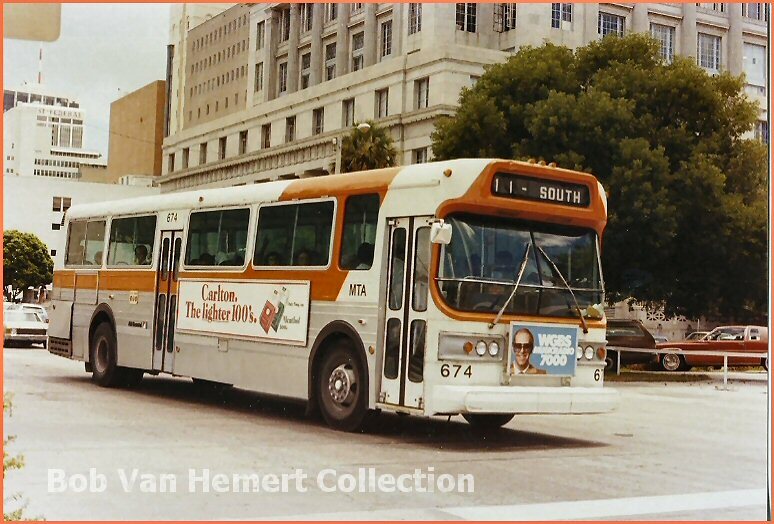 And 662 shot just a few blocks south, and a few years earlier also on the northbound 5. 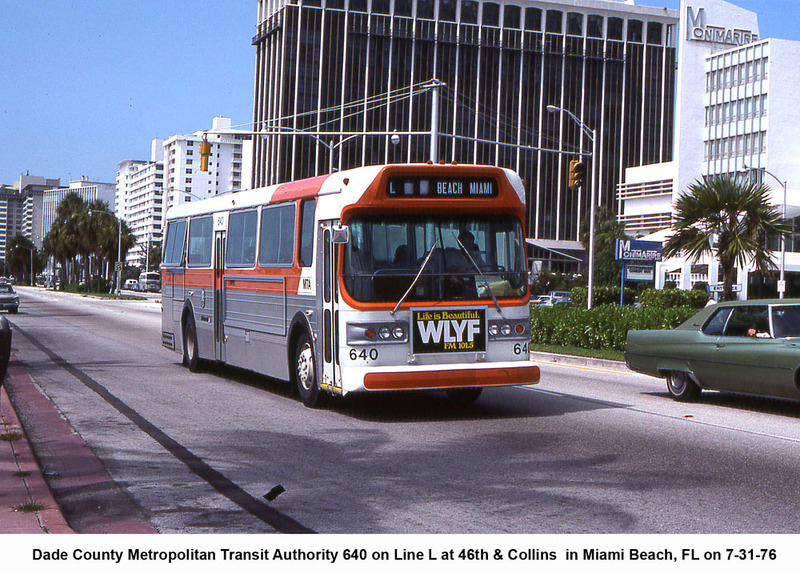 Bus 626 on the route G near the Miami Beach Convention Center. 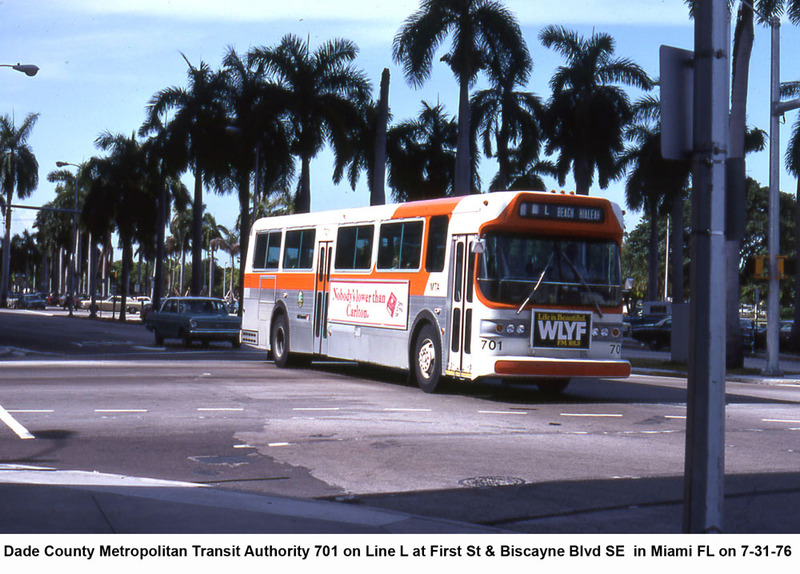 Bus 674 on the Route 11 in downtown Miami.